At a young age, all the way up to high school, I remember being absolutely fascinated by Asian culture, language and art. While most of my peers would jam to N-Sync, Eminem and Nirvana, I contemplated the sounds of the koto and shakuhachi flute. I remember having an old, yellow Xerox copy of John 3:16 in Japanese on my bedroom wall. While there really isn’t an explanation for this “Asian obsession”, it intrigues me when I look back and wonder what use it has served. Shortly after high school, I ditched the Bible verses and Christian scene- but not my fascination with other cultures. Readers of my testimony, telling how I came into the Catholic Church, can see how something as “trivial” as foreign languages opened up a search for God. Catholicism is truly the universal faith. It has been translated into numerous languages, conveyed in countless traditions, bestowed on numberless tribes. To the Native Americans, Christ was the World-Former and Peace-Bringer. To the Germans, He was King of All, clothed in terrible splendor. To the Slavs, He was Sweet Lord, Shepard of Souls. In Arabia; “Isa Bin Maryam” messenger of God Most-High. As never before, the Jewish Messiah became the Savior of every people and nation. In the far reaches of the Orient, Christ is an Emperor. 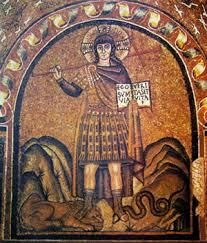 He, who was hailed in Rome as Imperator Christus, becomes the Everlasting Sun, the Warrior-King and True Wisdom. While earlier Chinese sages were poor men who lay dead in their graves, this “Christ” is the Divine, fit to wear nothing less than the imperial gold. So, I considered Christ, the Golden Emperor, how He can- and will conquer the East for His Holy Name. Though His envoys are powerless, forbidden to preach the Gospel in these lands, Christ shall extend a scepter over China, from every low field to each mist-curled mountain. Though His name is silenced, Christ shall be declared by the thundering Yangtze, the yellow desert tempest and the churning seas. 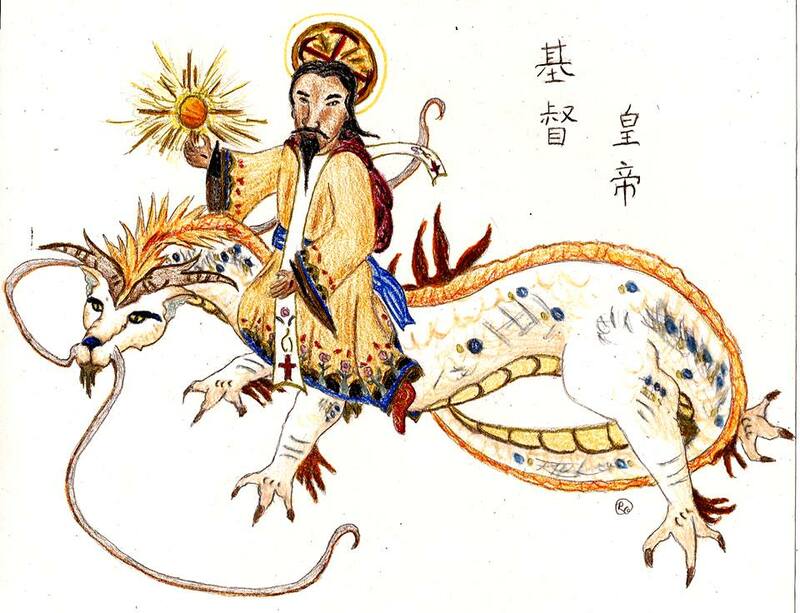 Though His citizens are often persecuted, imprisoned and robbed of freedom, Christ shall tame the tiger and the dragon. Soldiers stand powerless against Him, their words in vain, the rule of oppression broken… feared no more. Christ will conquer the foggy coasts of Japan. He, the Kami-No-O of a thousand angels, drives out every demon, ghost and devouring spirit. His sweet commandment shall echo there. 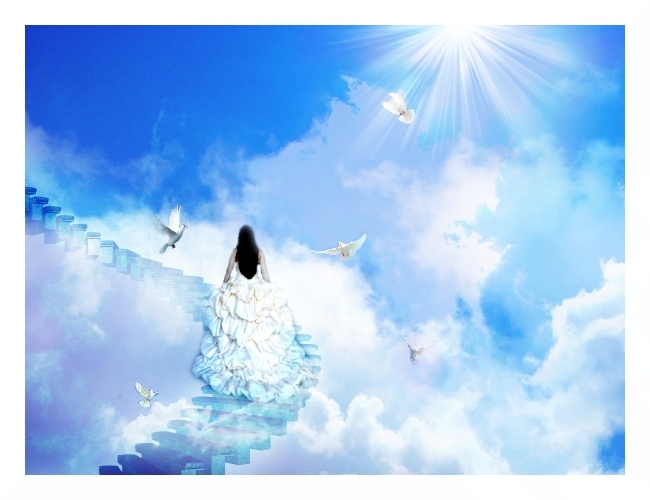 The Holy Sacrifice will then be offered in the dark jungles of Vietnam, the Mongolian steppes, the hidden temples of Korea and gauzy Himalayan peaks. . Okay, maybe I wasn’t thinking of all that at once… Namely, I contemplate how Our Lord descended from heaven, found great misery and wickedness on earth and delivered us from it all. His blood dyed purple the barren soil and made new life flower forth. So, how is not Christ greater than the sun, the earthly powers, all sovereignties and terrors of darkness? He is greater than the beasts of mythology, yes, for He fought them in the depths. He crushed the giant, strangled the kraken, defeated the capricious jinn and wild sprites; slew the hydra and the behemoth. Towering Olympus, He plundered. Hades, He laid to waste. The heights of Valhalla, He cleared. So, He has also devastated the false, glittering gods of Asia. The dragon, the phoenix, the spirits of men, they all praise Him. Indeed, He sits astride the dragon! That celestial dragon, old symbol of imperial might, is made His steed! You see now, that Christ, Our Lord, far surpasses all legendary powers. In every place, He swept away the old gods. In those regions where persecution crushes hard against the Christian people, a light of justice, faith and mercy, shall kindle and crush underfoot every dark legion. China is ripened for battle. Soon enough, the Emperor shall answer His people’s cries. Just as did Israel, the East awaits exodus, awaits its conquering hero, and come morning, the sun will rise, more brilliant than ever.